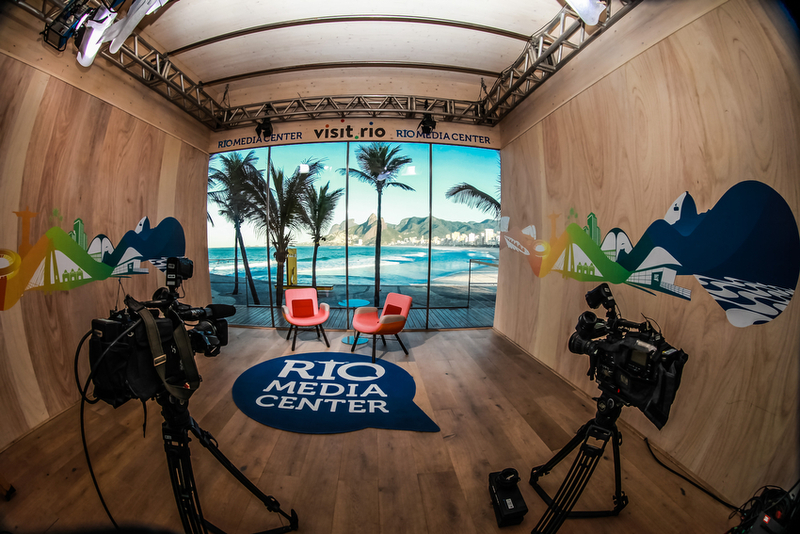 As part of their efforts to “roll out the red carpet” for broadcasters and journalists from around the globe covering the 2016 Summer Olympics, the city of Rio de Janeiro has created a shared live-shot location and press center for broadcasters. 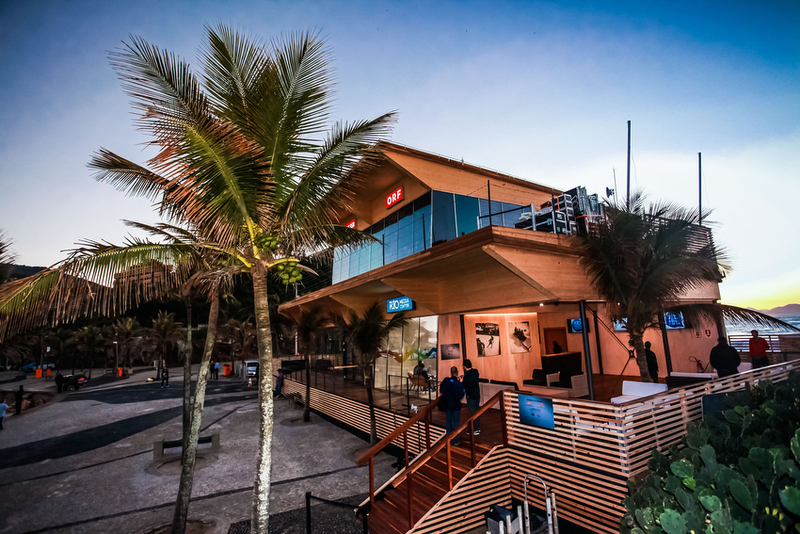 Dubbed the Arpoador Studio at the “Rio Media Center” (no affiliation to the true media center, the International Broadcast Center), the building is located in the Arpoador region of Rio, providing great vistas and sunsets along the Ipanema beach. “The most beautiful city in the world deserves to have the TV Studio with the most beautiful view on the planet. It is a pleasure to give interviews, having the Morro Dois Irmãos, and the Ipanema beach, as a backdrop,” said Eduardo Paes, major of Rio de Janeiro in a statement. 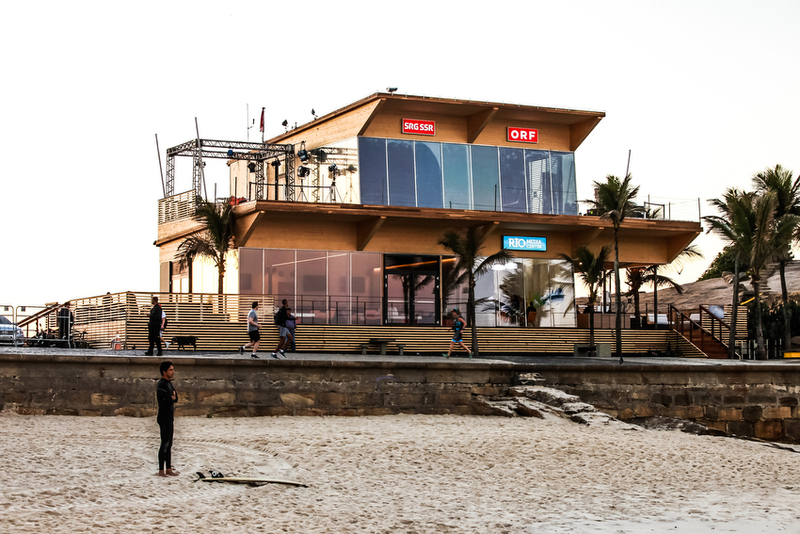 The space includes a small beach themed studio with chairs and lighting equipment, along with a press work area. 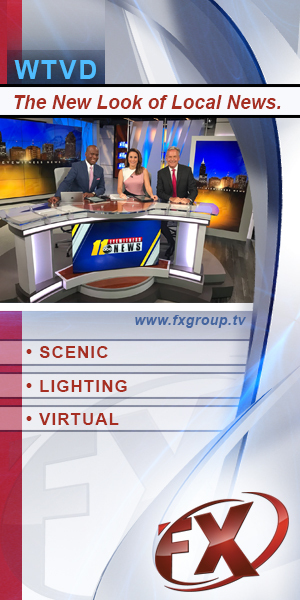 Broadcasters are able to reserve the space, which means it has been popping up on multiple channels and networks of broadcasters without dedicated workspace. Austria’s ORF and Switzerland’s SRG/SSA also have studios upstairs in the building.